Which EU Country Holds The Most Sway On EU's Foreign Policy ? How many Spaniards will actually want to go to Latvia after it joins? OK, my question was a bit facetious, but you have to try to make this EU Enlargement business a practical matter. 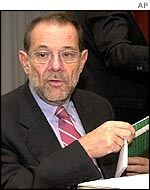 Spain's Europe Minister, Ramon de Miguel, lapped it up. "You'd be surprised," he said, "Thousands". Then his voice rose with certainty, "and hundreds of thousands of Latvians will come here!". Spain is full of good Europeans. A generation after the Franco regime, they still relish being part of the continent's democratic family. Now though, 16 years after it joined the European Union, Spain feels it is among those who run the EU. When I put it to the minister that newcomers, like Poland, grumble that the established club is offering them a second class deal on farm subsidies and other aid, he said simply, "they don't know what they are talking about". 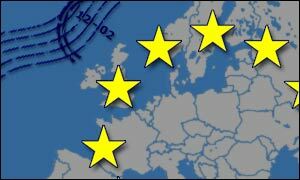 The Spanish are at a crossroads with this big bang enlargement, which will take the EU from 15 to 25 members. The Czech Ambassador here, Martin Povjesil, put his view on Spain's position cleverly. "Prague wants what Madrid has already enjoyed - financial help from Brussels. "Spain can't have it both ways. It has had the aid. Now it wants power. "Who runs Europe's foreign policy? "Spain can share the power with Europe's big guns. And we Czechs and the others can have the money. "Spain has to choose - is it powerful or poor. We'd like it to be powerful!" Spain has benefited from around 200m euros a year in EU funds. But really they seem sanguine to me about the amount falling. It's a question of maths. You only get the Brussels cash if your economy is below the EU average. Spain's economy has grown enormously - thanks, in part, to Europe. That doesn't make most of the country feel any less Spanish. 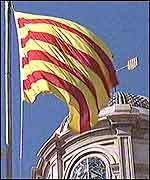 The central authorities have just put up a huge national flag in the centre of this city. 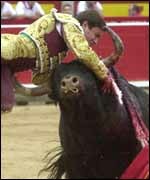 And whether they pay in pesetas or euros or any other metal or paper, Spaniards will still spend it on tapas and bullfights. Even those Spaniards who don't want to be a part of Spain love Europe. Anna, a student from Barcelona, told me: "What I like about Europe is Denmark. "It has the same population as Catalonia, but it is independent and it says what it wants and what it doesn't want (like a European army). "I want to be like Denmark!" I'll try to remember to pass that on to the Danes when they host the enlargement summit next week.